Native advertising is a disruptive technique that is positioned to change the advertising business model. It is alternatively being hailed as a breath of fresh air and a controversial, exploitative new tactic. It has, in fact, been both. For content marketers, native advertising has unique implications. It opens up a method of content distribution many marketers have ignored, making it a potential key to getting more eyes on your content. It inspires the confidence that you’re actually reaching potential customers, and its strong ability to take context into account helps ensure you can target buyers with more accurate timing and a more relevant message. Is native advertising ready for mass adoption? That, of course, depends on how you approach it. Though native advertising is not a new discipline, the availability of new tools that tap into its potential has motivated journalists and marketers to more clearly define its parameters and value. According to digital advertising firm Solve Media, native advertising refers to a specific mode of monetization that aims to augment user experience through relevant content that is delivered in-stream. These advertisements appear as part of the typical browsing experience. They engage the viewer with relevant ad content that flows naturally into the rest of the content on the website. 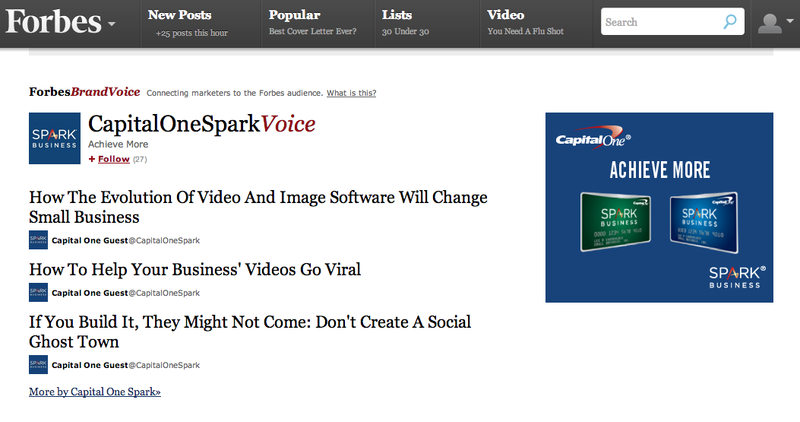 OneSpot pulls an article’s headline, featured photo, and social shares into a neat display advertisement. The system pairs these ads with relevant content, and even retargets readers with more content on other sites, adjusting for where the prospect might be in the sales funnel. Measuring the impact is simple: OneSpot’s analytics platform follows the buyer from the advertisement to the desired action. Sharethrough focuses on a similar niche, but it specializes in video. The start-up places high-quality video advertisements within the typical flow of a video publisher website. Advertorial video content featured on these sites is still content the audience may be interested in — it’s simply branded content and may conclude with a brief brand message. By now, you may have heard about that time “The Atlantic” broke the internet. Just about everyone in media was in an uproar over what happened — but no one is completely sure why the publisher’s actions were so wrong. To catch you up, the 157-year-old publication posted an article clearly endorsing the Church of Scientology. Though the article was marked “Sponsor Content,” significant backlash on the content led “The Atlantic” to retract the post and issue an apology. 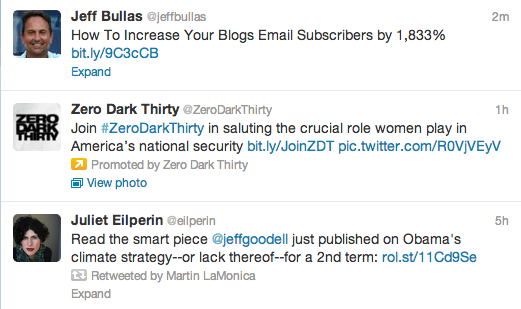 “The Atlantic” makes a native advertising error. Bypass the sales message: The sponsored Scientology article was clear propaganda from an already controversial source. Content marketing, a practice that inherently bypasses the pitch in lieu of a conversation, is a clear match with native advertising. In order to truly be native, the content must be of a clear value to the audience. 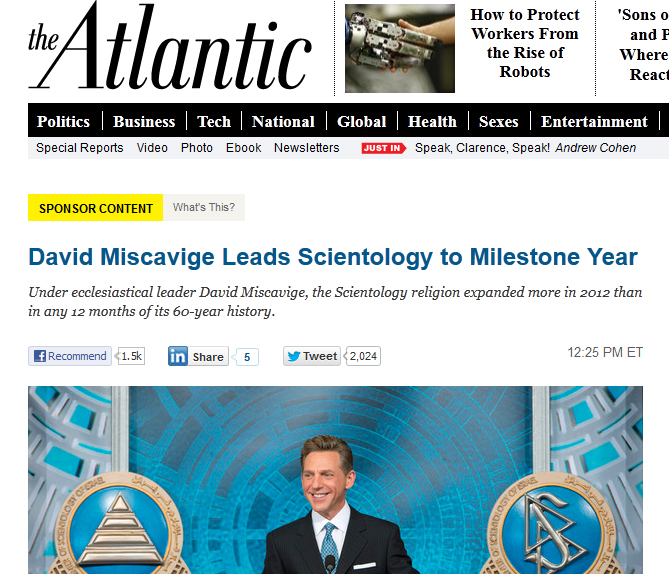 Match content with coverage: “The Atlantic” didn’t seem to take into account that the Scientology article had no real value or appeal to its target audience. Native advertising spots must be placed with the audience in mind. Otherwise, they’re disruptive and won’t be of much help in targeting potential customers. True, the line between great content and propoganda is often a fine one, indeed. But both the publisher and the brand have a responsibility to always monitor their own practices closely, lest things go very, very wrong — as it did in this case. After the fiasco experienced by “The Atlantic,” it is understandable that marketers may be wary of alienating audiences with native advertising. Luckily, other major publishers are paving a more viable path for the practice. Born from the business publication’s rebranded AdVoice platform, Forbes BrandVoice is a milestone program in the world of native advertising. The program includes sponsored content from brands like Cartier, CapitalOne, and SAP that fits the publication’s coverage. The popular current events website includes a simple tactic used by other publishers across the web. A box at the bottom of the screen juxtaposes content hosted on the website with content from other websites. Now that we know what it is and who’s doing it, why is native advertising such a great fit for content marketers? And how can you leverage it for content marketing success? Native advertising is a natural extension of content marketing: Brands trade relevant information for brand exposure or time spent directly on their websites. The difference is that with native advertising, you pay to put that content in front of more eyes. Yet, it’s not quite traditional advertising in that, with a native strategy, you’re throwing out the pitch and starting the conversation. Reaching audience members outside your channels: Until now, content marketers have been happy to focus on owned and earned media. Paid media brings its own benefits to the table, including the opportunity to extend your reach to your intended audience across trusted channels. Extending the life of content: Today, publishers accept that the life span of a blog post or other piece of content is unpredictable. Through native advertising, there’s a clear opportunity to bring dusty (but still powerful) content back to the forefront. Retargeting leads and prospects: The evolving nature of content personalization and context marketing means we have the ability to apply these concepts to native advertising, assuring we’re guiding advertising prospects through the sales funnel. Ads must be ultra-relevant to the content with which they’re paired: “The Atlantic” caught flack because it abused the trust of its readership — arguably the biggest faux pas in the history of branding. Relevance ensures that you’re targeting readers who may actually become customers. It also ups the value of the content itself for readers, increasing the chance that they’ll follow through to the desired action. Native advertising is only worth doing if you have end-to-end control: I noted earlier why retargeting was such a useful part of native advertising. To get there, you must have the ability to measure your progress and track the potential customer from the moment they click on the ad until they’ve filled out that lead form. That’s how you test your campaigns and, in the long run, establish your ROI. The best native advertising still points back to your website: While Forbes’ program is groundbreaking, native advertising strategies like OneSpot’s give you the ability to drive traffic back to your site. As always, it’s better to host content on your website. Are you planning to invest in native advertising this year? Why or why not? Share your thoughts with us in the comments. Learn more about techniques and technologies that are on the cutting edge of content marketing practice, including native advertising. Register now to attend Content Marketing World 2013.